Margaret Rogerson is the author of An Enchantment of Ravens (Margaret K. McElderry Books), a Summer/Fall 2017 Indies Introduce young adult debut and an Autumn 2017 Kids’ Indie Next List pick. Rogerson studied cultural anthropology at Miami University in Ohio and has worked as a marketing assistant, graphic designer, and freelance artist. In her debut, Rogerson has created a world in which fairies rely on humans for craft work and pay the humans, in turn, with enchantments. Isobel, the human protagonist, uses her skill as a painter to influence the traditions and rules that have grown up around this fairy-human relationship. 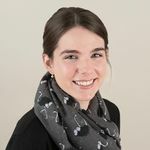 Karin Schott is the assistant manager of Devaney, Doak & Garrett Booksellers in Farmington, Maine, and served on the Indies Introduce panel that selected Rogerson’s book. Recently, Schott discussed the creation of Isobel’s world with Rogerson. Karin Schott: The currency used in the town of Whimsy is craft, and Isobel’s craft is painting. Do you paint anything yourself? Margaret Rogerson: Good question! I used to do portrait art, which was the inspiration behind Isobel’s character. I have to admit, however, that I’m absolutely terrible at painting — back then I only used dry media, like sepia pencils and charcoal. Fortunately, my mom is an oil painter, so I grew up watching her work, and that really helped shape my descriptions in An Enchantment of Ravens. I still draw from time to time, but I prefer digital art these days and no longer do portraits. KS: Isobel is an astute citizen of Whimsy, and she knows that the payment for her craft — an enchantment — can lead to folly. What do you think it is about her character that makes her so wise? MR: Isobel has had to grow up too quickly for a number of reasons, but most of all because her craft supports her family. Whenever she negotiates an enchantment with a fairy, she knows that the fallout of a poorly worded enchantment would impact not just herself, but her aunt and little sisters as well. So not only is she a practical and responsible person by nature, she’s had to become extra clever to protect her loved ones from harm. KS: What are some of your favorite fairy tales? MR: Beauty and the Beast is a perennial favorite. I also like The Two/Twa Sisters (which is about a singing harp made of a drowned woman’s hair and bones — morbid, I know) and The Wild Swans or The Six Swans. KS: Your book is so rich in world-building. Did your surroundings inspire or inform your writing? MR: Thank you, and yes, they do! I like to take long nature walks and I especially enjoy spending time in the woods during fall, taking everything in, trying to commit the sights and sounds to memory. I used to live on a farm, and I miss that a lot. KS: Isobel is confronted with some difficult choices, one of which is to drink from the Green Well and give up her craft and her human emotions in exchange for becoming immortal. What choice would you make if given this opportunity? MR: Like Isobel, I would rather die than drink from the Green Well! I can’t imagine any horror greater than the loss of artistic expression. The character of Aster is, in large part, an exploration of how I imagine I would have felt (or perhaps not felt, which is even scarier) giving up my creative abilities in exchange for immortality. I found her scenes somewhat harrowing to write. 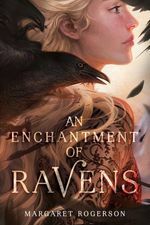 An Enchantment of Ravens by Margaret Rogerson (Margaret K. McElderry Books, Young Adult Hardcover, $17.99, 9781481497589) On Sale Date: October 3, 2017. Learn more about the author at margaretrogerson.com.